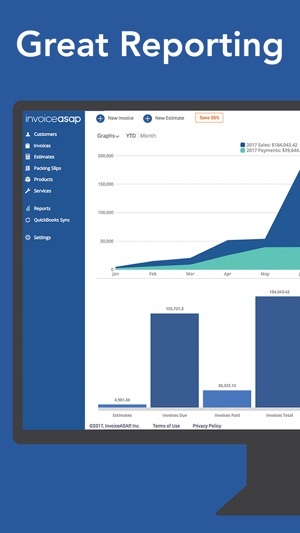 Easy mobile invoicing & field services with desktop reporting. Manage a team of any size. Signature capture for Invoices and Estimates with secure cloud storage. 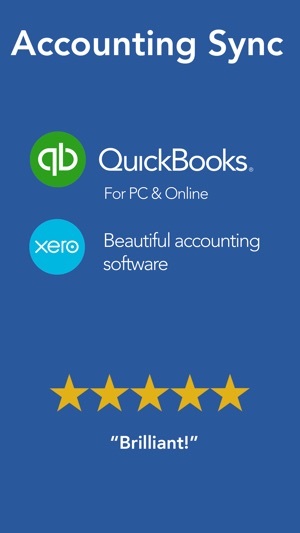 Sync invoices and estimates with QuickBooks® for PC, QuickBooks Online & Xero for accounting. Your hub for sales, customer management & reporting. Manage a team of any size easily. Save time and money and get instant sales data from your team in the field. Featured in: The Wall Street Journal, TechCrunch, ZDNet, Reuters, PC Magazine, Yahoo Finance, & Business Wire. · Simple yet powerful design built for business owners. Accountants love it too. · Supported by incredible customer service. Smart, friendly help available by email (support@invoiceasap.com) whenever you have questions. · Your data is always safe and accessible no matter what device you’re using. 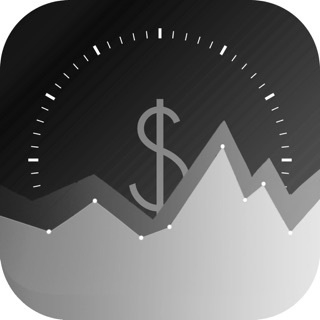 · You'll be creating estimates and receipts, and invoicing your clients in just a few minutes! · Your invoiceASAP account is accessible on all your devices so you can work where you want, when you want. · Your data is always backed up and secure. "Especially with the latest release of InvoiceASAP. 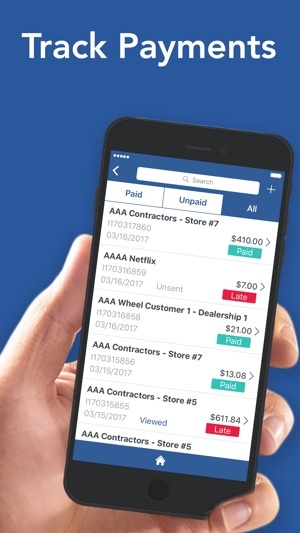 It has been the perfect solution to streamlining the invoicing process from our mobile infield technicians. It has automated a process and has saved our bookkeeper a tremendous amount of time as these invoices used to have to be entered into Quickbooks manually. The Support has been phenomenal as well! 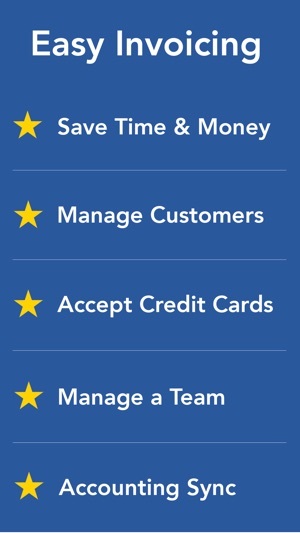 This app is highly recommended and probably the only thing like it I have seen on the market." You can create 5 invoices or estimates each month for free. Account is charged for renewal within 24-hours prior to the end of the current period at the subscription price shown above. Subscriptions can be managed by the user. Auto-renewal can be turned off by going to the user's Account settings after purchase. Any unused portion of a free trial, if any, will be forfeited when the user purchases a subscription to that plan. 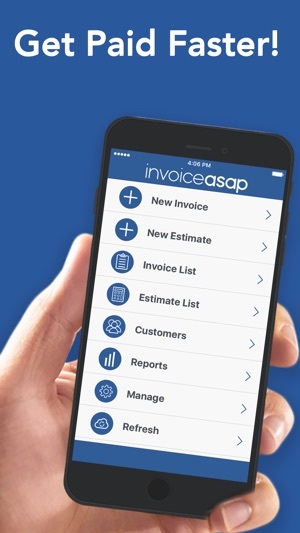 Great for small business, Easy to Use, You have to access the invoiceasap Website from a Desktop Computer in order to see all the extra customization you can do first, then your Mobile Version works great. I would give it 5 Stars except they recently Stopped their Deal with Square and allowing customers to pay with Credit Card and Merging the info once it was paid. They are no Forcing prior customers to use a new Credit Card Processing Company which wants a Full Credit Check and Credentials that should not be asked for just Credit Card Processing. I might keep using them for invoices and manually mark when invoices are paid and take credit card payments via phone instead. InvoiceASAP has helped my in store time by cutting down to 10 mins from 30 mins average for my distribution business. Also saved me a lot of money as it syncs all the invoices and payments to QuickBooks desktop version. Truly a blessing and the invoice printer from zebra is better than other and saves a lot of money on ink and toner. © 2017 Invoice ASAP, Inc.